Have sequence ready? Save Your Time and Money by submitting your project online! Need help on sequence? Use our classic interface to submit your request. As a pioneer and leader in gene synthesis technology with over 600,000 completed gene synthesis projects for scientists around the world, GenScript has the expertise to help you achieve your gene synthesis needs. Gene synthesis enables powerful solutions for molecular cloning, creating fusion proteins, or achieving sufficiently high protein expression levels. Compared to traditional molecular cloning techniques, GenScript's gene synthesis service saves both time and money while offering unparalleled top to bottom customizability. 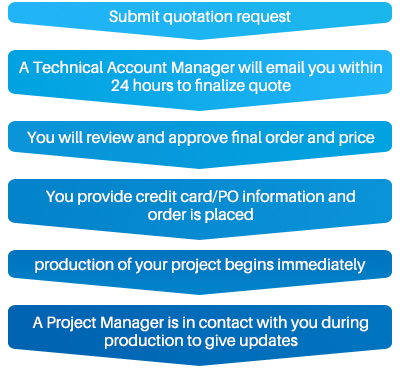 Our experienced Ph.D.-level project managers ensure that you receive professional service tailored to your needs and on-time delivery of ISO 9001 certifiedwhat's this? products with 100% sequence accuracy guaranteed. "GenScript is the company that I have entrusted my project with. The delivery of your gene synthesis is on time and the OptimumGene™ technology on your Gene-on-Demand® gene synthesis platform has increased my gene expression dramatically. I am very happy with my results and GenScript is always my first choice for gene services." - Bin He, Bristol-Myers Squibb, USA. The International Organization of Standardization, (ISO) defines quality management standards across industries and national borders. ISO 9001 is a series of documents that establish requirements for Quality Management System (QMS) standards. ISO 9001 certification assures customers that the company has a reliable QMS in place. An organization with an effective QMS will meet customer expectations with greater regularity and precision than an organization that does not. GenScript's products and services are certified by ISO 9001, the current and only valid version of the QMS standard. Delivery in as few as 4 days -- the fastest turnaround time in the industry. Service Highlight! 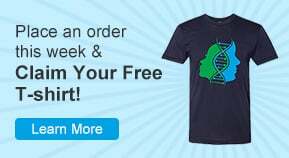 OptimumGene™ Codon Optimization – Free with any quote! * The prices and turnaround times here are estimates for non-complex genes. Price and turnaround increase as gene length and complexity increase. Please contact us to learn about discounted pricing for high-volume orders, institutional contracts, long-term partnerships, or to discuss your specific requirements. Be sure to check our current promotions. Downstream services, including cloning, mutagenesis. plasmid prep and protein expression evaluation, are available at additional cost. Customers retain all rights to the sequence data and related intellectual property. Free codon optimization - Proprietary OptimumGene™ codon optimization technology can comprehensively optimize DNA sequences to significantly increase protein expression in any host. Any gene in any vector - GenBuilder seamless cloning technology can accurately and efficiently fuse your gene into any site on any vector. Guaranteed sequence - Proprietary Gene-on-Demand® gene synthesis platform enables mutation-free DNA synthesis for genes of any length and any complexity. One-stop solutions - Comprehensive downstream services can save you time on material transfer. Cost effective - Ease your budget crunch with competitive prices supported by economy-of-scale. Easy online quotes and ordering - Request a quote now. New! Now receive your 1,501-3,000 bp genes two days faster! The following are estimates based on typical orders; complex sequences may take longer. For a more accurate estimate based upon your specific needs, please request a quote. 10 - 12 days New! 150 popular vectors for mammalian, bacterial, yeast, or baculovirus/insect expression systems. Free, secure storage of your custom or commercial vectors; $49 cloning into any of your archived vectors. 1: GenScript Standard Vectors: Synthetic genes will be delivered in your choice of Standard Vector at no additional cost. There is no need to mail us an aliquot of the vector. 2: Express Cloning: Subcloning into any of these vectors is $49 and 2 days extra turnaround time for sequences <10kb. There is no need to mail us an aliquot of the vector. 3. Subcloning into any other vector not listed here starts at $149 and 5 days to turnaround time for sequences <3kb. Please mail in an aliquot of the vector. The best testimony to the value of GenScript's molecular biology services is the remarkable collection of studies published in high-impact journals that mention GenScript in their methods section. Over 10,000 publications cite GenScript services and products, making us the most cited biotech company in the world. Read Customer Testimonials in researchers' own words. Not sure which gene synthesis service is right for you? Check our Purchasing Guide. For batch orders, please email us, your gene sequences in FASTA format, or fill out and upload the Quick Quotation Request Form. Our Ph.D-level gene service representatives are here to help manage your projects from sequence design, optimization, synthesis, cloning and beyond without any additional charges. We are available 24 hours a day, Monday through Friday to assist you.